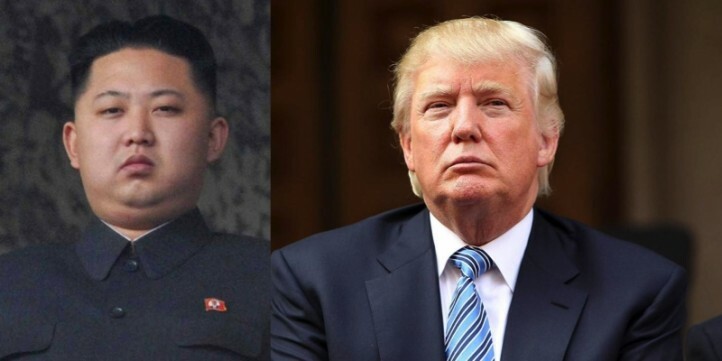 As you may have noticed President Trump and North Korean Dictator Kim Jong Un have been trading insults and threats over the past few weeks about just how bad they're going to curb stomp the other country. Kim has made threats to attack Guam while Trump has said that any North Korean bad behavior will be met by fire and fury the likes of which the world hasn't seen. Trump says that the US military is locked, loaded and ready to go. Many people, both intelligent and not, attacked Trump's statements as unpresidential. They were. But at the same time if someone is threatening your country you're probably going to threaten them back. There tends to be an expectation among some experts that whatever Trump says will be wrong. That's usually a pretty good expectation. But in the case of the North Korean regime there has been a decades long bipartisan failure to prevent what the U.S. sees as bad behavior by North Korea. North Korea has nukes. North Korea isn't giving up its nukes. North Korea has been continuing to test missiles. Those missiles have been getting better and better. This is simply not a problem that Trump created though he is certainly capable of making things worse. There may have been, sixty years ago, a small window to settle the North Korean question militarily on terms favorable to the United States, as Douglas MacArthur would have told you (and did tell other people), but in the current day with a nuclear armed Russia and China, that window has likely closed. There aren't any good options in dealing with North Korea. 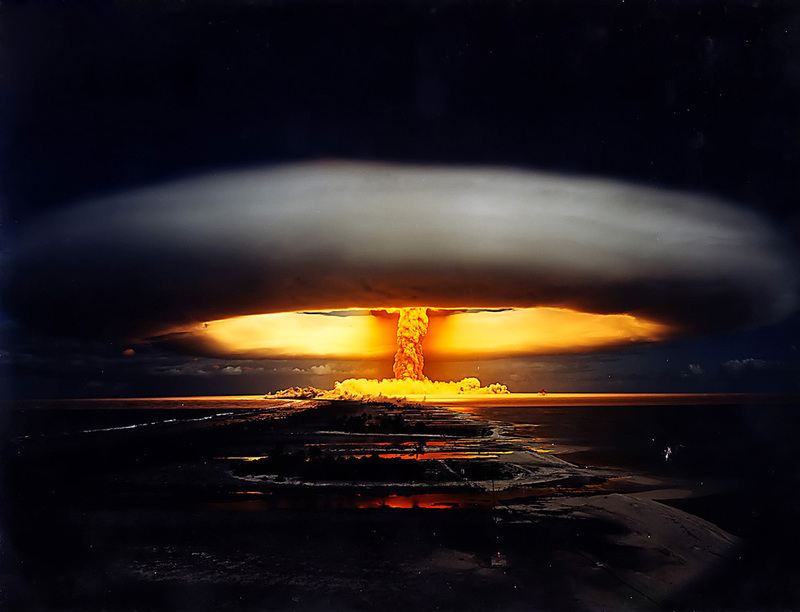 The U.S. could use a nuclear first strike on Pyongyang. The U.S. could send a combinations Special Forces/Marines detachment to capture and/or kill Kim and all of his closest cronies and military supporters. The U.S. could ignore Kim. The U.S. could then ensure that the U.S. and North Korea both live under Mutually Assured Destruction, just as we do with Russia and China. 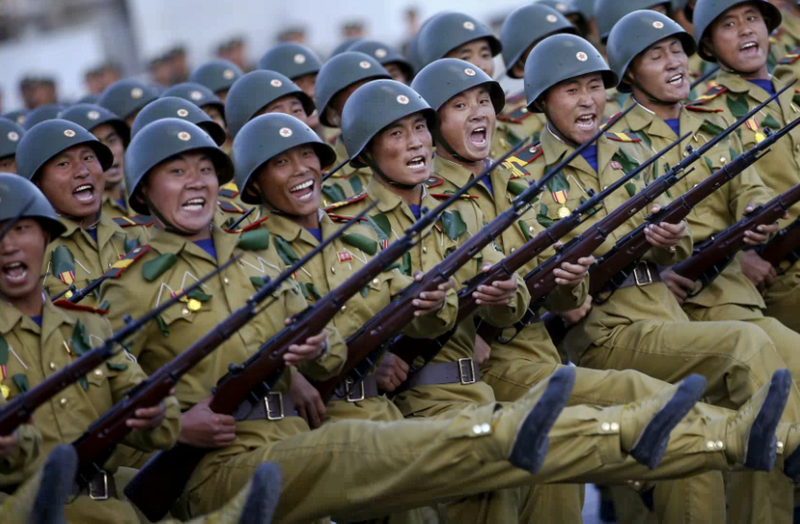 The U.S., along with South Korea, could launch an invasion of North Korea to settle their hash for once and for all. The U.S. could attempt to get others to tighten sanctions. 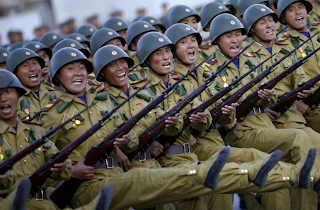 Any sort of attack on North Korea and in particular any sort of U.S. troops near the Chinese border will make China nervous. The last time this happened China entered the Korean War on the North Korean side, even though they didn't have nukes at the time. Now they do. And they are rather clearly looking to push back against some of the U.S. presence in what they consider to be their sphere of influence. China has said that if North Korea starts anything then North Korea will be on its own but if the U.S. invades North Korea, attacks first or tries to replace Kim Jong Un, China would not allow that. Beijing is not able to persuade Washington or Pyongyang to back down at this time. It needs to make clear its stance to all sides and make them understand that when their actions jeopardize China's interests, China will respond with a firm hand. Someone is getting a little bold telling us what they will prevent us from doing but that's what happens when you spend the past forty years transferring large portions of your manufacturing base and technical know how to an unfriendly totalitarian mercantilist state. But that's a different post. The point is that if the U.S. attacks North Korea it will also be risking war with China. Is that worth it? Do we think that China is bluffing? I doubt it. Given China's ridiculous claims to the entire South China Sea and its growing bullying of regional neighbors, China might actually think that it could win--or at least not lose-- a conflict with the U.S. China is clearly pleased as punch to have an insane client state that barks at the U.S. I wouldn't expect China to help too much in getting North Korea to show a little clarity and sanity. It's not in their interest. Tightening sanctions probably wouldn't do much. The former leaders of Iraq and Libya didn't have nuclear weapons. They closed down their research programs into such things. And those regimes were promptly attacked and destroyed by the U.S. and its allies. The lesson that even a dummy would take away from those events is that if you lead a regime that is on the U.S. hitlist it probably helps to have nukes. They won't solve all your problems but they will make the U.S. think twice before messing with you. When it comes to what North Korea sees as its survival it may be willing to bear any burden and pay any price. If you want to be the one who comes knocking at the door instead of the person who opens the door and gets shot, get yourself some nuclear weapons. Learning to live with Kim Jon Un talking smack about what he's gonna do is also intolerable, isn't it? That may well be. But it also may be the best of some very unpalatable alternatives. We live in very interesting times.